When your skin stretches or shrinks quickly, such as with pregnancy or fast weight changes, the reddish, purple lesions known as stretch marks appear. At Nouvé Med Spa in Downey, California, the expert aesthetic team can help you reduce the appearance of these marks that prevent you from having the smooth, clear skin you desire. Call the office or book an appointment online to find out how the radiofrequency treatment of TempSure Envi can reduce stretch marks and improve your self-confidence today. Not all people develop stretch marks, genetics and hormones seem to play a role in whether you will. When stretch marks first develop, they appear reddish, purple, or brown. With time, they fade and may even appear whitish. They also become slightly depressed, creating a bumpy texture to your skin. How are stretch marks treated with TempSure Envi? Topical creams and other home remedies usually fail to fade stretch marks. But, the TempSure Envi radiofrequency device can be effective in helping you reduce the appearance of these pesky marks. The energy applied through the TempSure Envi wand penetrates your outer most layer of skin to stimulate collagen development. Collagen is a protein that gives you skin its smoothness, firmness, and strength. When TempSure Envi triggers collagen development, your skin becomes smoother and the unsightly texture and discoloration of stretch marks fade. 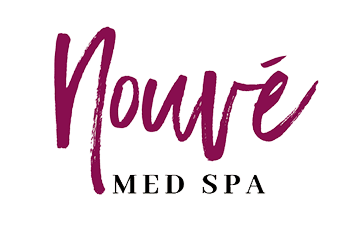 The aesthetic team at Nouvé Med Spa will determine if TempSure Envi will be effective on your stretch marks, depending on your health, age, and how long you’ve had them. Along with reduced appearance of stretch marks, your TempSure Envi treatment will leave your skin looking rejuvenated and smooth. How many sessions of TempSure Envi will I need to reduce the appearance of stretch marks? You notice results after just one session and continue to see results develop for the next six to 12 months as your body continues to renew collagen and your skin firms up and smooths out. Consult the providers at Nouvé Med Spa to discuss your aesthetic goals to understand what to expect from your TempSure Envi treatments. To learn more about how TempSure Envi can fade stretch marks and reveal smooth, tight skin, call Nouvé Med Spa or book an appointment online.